^ Or, “and with him were myriads of Kadesh, at his right hand warriors [or, angels] thereof.” See JTS, Vol. 2, 1951, pp. 30, 31. LXX, “with [the] myriads of Kadesh; at his right hand angels [were] with him”; Vg, “and with him thousands of holy ones. In his right hand [there was] a fiery law.” Mmargin breaks the Heb. into two words, ʼesh (fire) and dath (law), to read, “the fire of a law”; or, “a fiery law.” But this would introduce into the Pentateuch a Persian loanword, dath (law), which is found elsewhere in Heb. only in Ezra and Esther. See Ezr 8:36; Es 1:8. ^ “His people,” LXX; MSamSyVg, “peoples,” referring to the Israelite tribes or their ancestors. ^ Possibly, “his,” in the collective sense, referring to “his people,” which is pl. in M (Heb., ʽam·mimʹ). ^ “Moses laid as a command upon us a law.” Some consider these words to be a gloss from the margin and so would delete them. ^ Meaning “Upright One”; an honorary title for Israel. ^ “Blessing.” Inserted for sense in agreement with vs 1. ^ “Of heaven above,” two Heb. mss. In TO this line reads: “with dew of heaven from above.” See Ge 49:25. ^ “One singled out.” MSam(Heb. ), nezirʹ, translated “Naz­irite” (meaning “One Singled Out; Dedicated One; Separated One”) in Nu 6:2, 13, 18-20. ^ “As a lion.” Heb., kela·viʼʹ, the Asian lion. ^ “Like the [true] God of.” Heb., ka·ʼElʹ. Here the definite article ha, “the,” is indicated by the vowel points under the Heb. 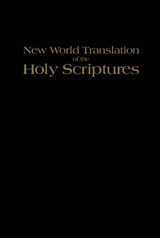 preposition Kaph, “k,” to form ka, “like the.” This introduction gives special emphasis to the noun “God,” here rendered “the [true] God.” See Heb. grammars under “prep­ositions”; App 1G. ^ The tribe of Simeon is not named in the blessing upon all Israel, but with Levi named and also the tribes of Ephraim and Manasseh that descended from Joseph, the number of tribes remains 12. 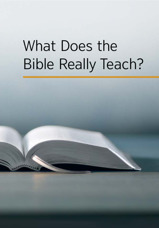 What Does the Bible Really Teach? What Is a Bible Study?